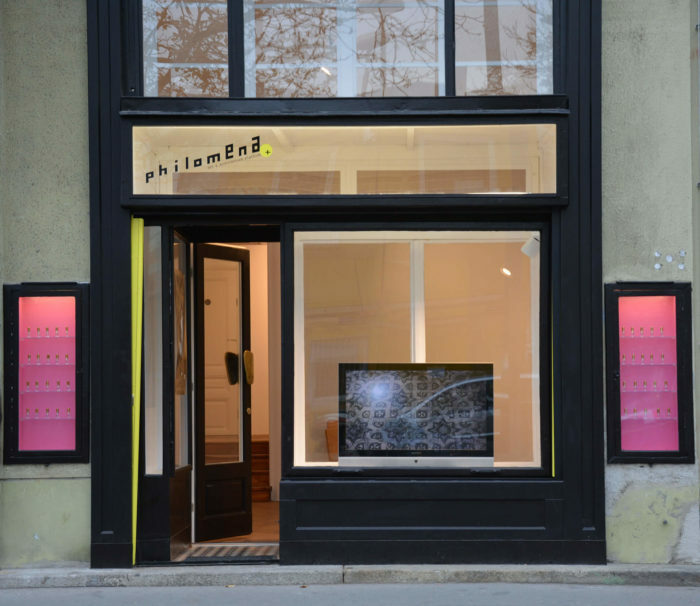 This exhibition at Philomena + is part of the project of art and research Attokoussy, initiated by Le Cube – independent art room. 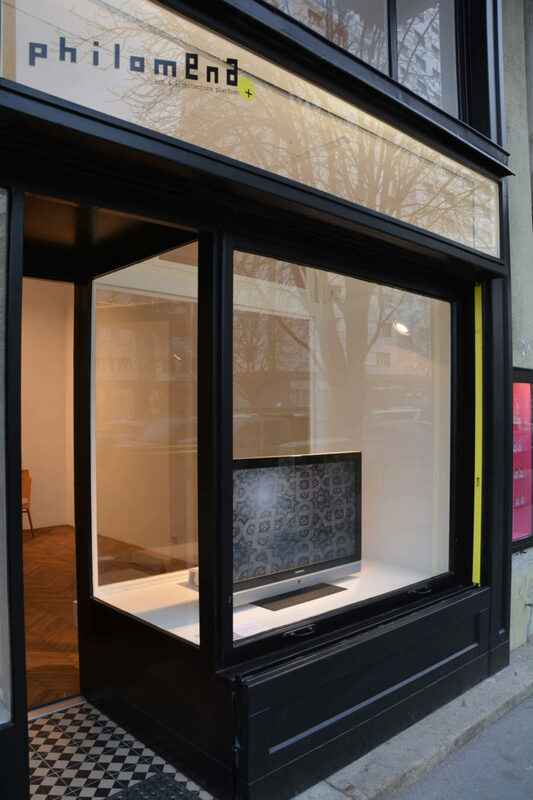 For this solo exhibition, Mohammed Laouli presents the installation Hassad al Houb / labour of love that he has developed during the residency in Marrakesh. Hassad al Houb / labour of love creates an intersection between a feminist text written by Silvia Federici, theoretician and activist, and the work of women in the production of rose water and cosmetics, in Kal3at Megouna. Through a ritual he invented on his own, Laouli came up with a miraculous rose water that acts as a cure against patriarchal, sexist and capitalist thinking. Disseminated at the same time in the space where the exhibition takes place, the rose water encourages visitors to free themselves of these thoughts. 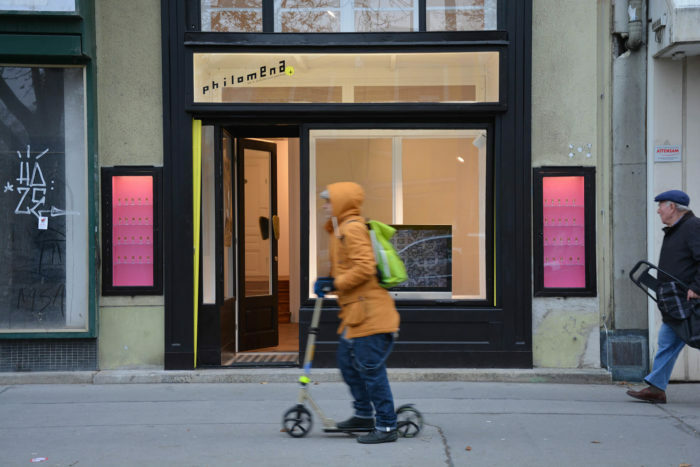 Mohammed Laouli, "Hassad al Houb / labour of love", vue de l'installation à Philomena +, Vienne.